Christian Vanneque fulfilled a long-held dream today by finally getting his hands on a bottle of 1811 Chateau d’Yquem. It just so happens that his $117,000 purchase has also put him in the history books. 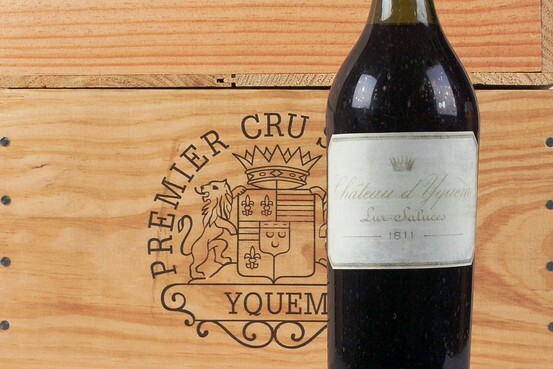 His prized bottle is the most expensive white wine ever purchased, breaking the previous record of $100,000 in 2006 for a bottle of 1787 Chateau d’Yquem. Mr. Vanneque’s bottle is also a sweet Sauternes from the same Bordeaux chateau, though his purchase was produced in 1811, a year also known as the “comet year.” Oenophiles throughout history attribute the appearance of a comet for the reason why wines were extraordinary that year. Mr. Vanneque is a former sommelier at the Paris restaurant La Tour d’Argent and one of the experts at the Judgment of Paris wine tasting in 1976 that pitted the top French and California wines against each other. He unveiled the bottle at a London press conference on Tuesday, jointly held with Steven Williams from the Antique Wine Co., which sold the wine. “For sure, it’s the most expensive bottle I’ve ever bought,” Mr. Vanneque said in an interview. He now lives in Bali, Indonesia, where he runs SIP Wine Bar. He said that he plans on using the bottle of D’Yquem as a promotional tool for his new venture, SIP Sunset Grill, which is due to open later this summer.